Here comes Fennesz, with his highly anticipated fourth studio album on Touch. Christian Fennesz is a prolific Vienna based composer who has been crafting electronic multi-layered laptop compositions with an aid of his guitar since the late 90s. Or is it the other way around? His guitar driven pieces with a heavy dose of DSP? Either way, Fennesz has developed that instantly recognizable and many times imitated sound. His vast discography extends through numerous EPs, remixes, soundtracks and collaborations, most notable of which is his work with Ryuichi Sakamoto on Cendre (Touch, 2007); as well as Cloud (Erstwhile, 2005) on which he worked with Keith Rowe, Toshimaru Nakamura and Oren Ambarchi. With a collection of works approaching the count of 30, Fennesz's last solo studio release was four years ago, Venice (Touch, 2004). So it should be no surprise that the fans jumped in anticipation to grab this 2008 release, Black Sea. And I hope the fans are not disappointed. 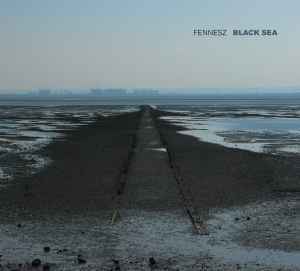 Fennesz picks up where he left off with Venice, building on his trademark of processed and filtered guitar sound. Faint melodies cut with their pale beauty through a sharp fuzzy white haze. Sure, it may sound like over-driven, bit-crushing, pixel-offsetting, standing noise you have heard before on another album. But let me remind you once more, that Fennesz has been pioneering this sound well before the advancement of software and saturation of costly plugins on the market. On a nine-and-a-half minute track called Glide, for example, Fennesz is joined by Rosy Parlane [check out his albums Iris (Touch, 2004) and Jessamine (Touch, 2006)], to build up an incredible swell of sound, that buzzes to an orchestral crescendo, until it breaks into a tidal wave of near silence, which washes off the coast of a Black Sea. Experience Fennesz if artists like Alva Noto, Philip Jeck, Jan Jelinek, and Oren Ambarchi are on your radar.